Is Costco cheaper than grocery stores? 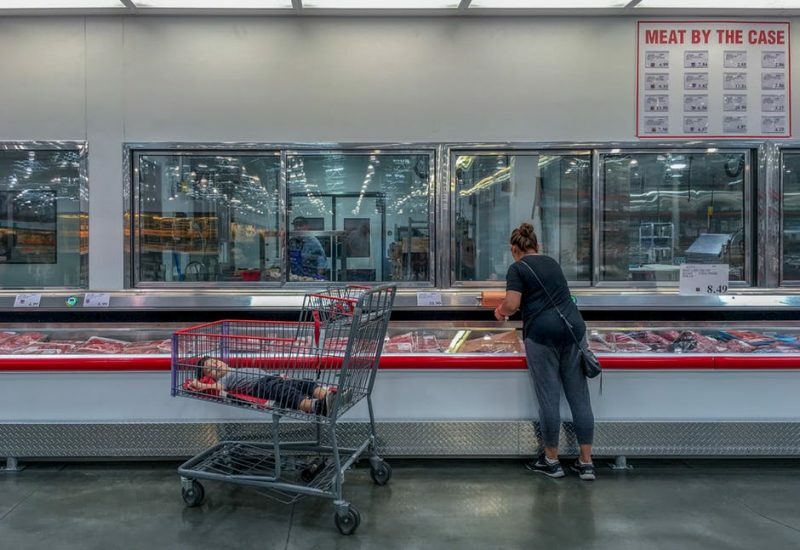 Does Costco save money on groceries? 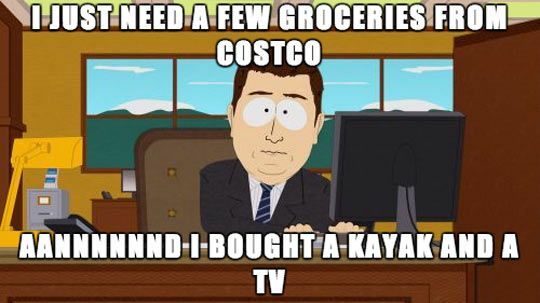 If you’ve got a tight budget, you may think is Costco a waste of money. But if you quit overspending, you will find the benefit of shopping at Costco and the best cost savings at Costco suddenly become more clear! If you’ve ever walked in for just a few items, and walked out with a full cart, this post is for you. If you just need a few items, don’t grab a cart. Sometimes having all that space makes it tempting to fill. On a busy day this also makes it much easier to maneuver through the crowds. If you have a large family to feed, or just like to buy in bulk, sometimes it’s best to do one BIG shopping trip a month, rather than stopping there every week. See which methods works best for your budgeting strategy. Don’t make a habit of going down every single isle in the store. Instead, get to know the layout and go directly to the essentials. For me, that means sticking to the grocery section and not venturing into clothing and toys! If you’re easily swayed by a sample and a sales pitch, just say no. If it’s not already on your list, chances are it’s not something you’d eat on a regular basis anyways (and therefore shouldn’t buy in bulk sizes). 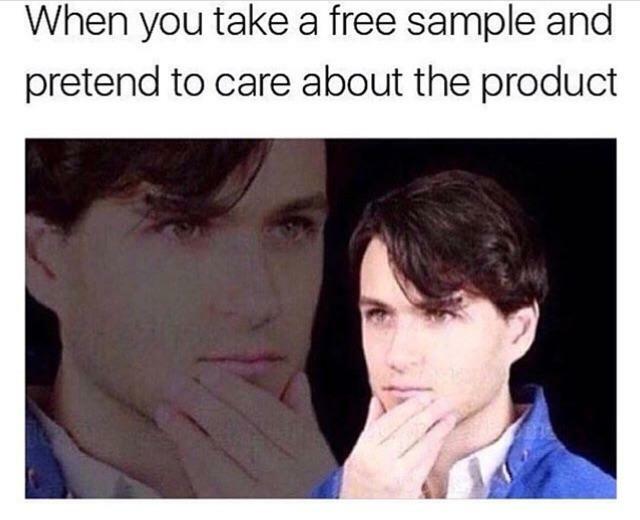 Note: my kids always get the samples, because I’m not a heartless monster. Make your trip to Costco count by getting a full tank of gas and using their pharmacy. The prices can’t be beat! 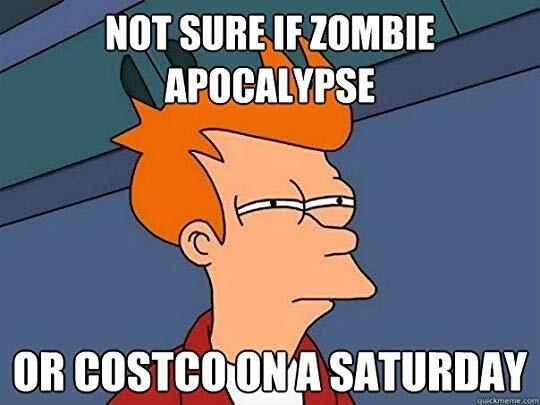 This is especially true if you need to travel a long distance to your nearest Costco location. You can also check out other member benefits like deals on travel, car rentals and insurance. Sometimes the sale price at your local grocery store might actually be cheaper than Costco, so it really pays to be a savvy shopper. Keep notes on your phone to track prices of your favorite items for a quick comparison. Investing in a large freezer has allowed us to take advantage of bulk discounts, and avoid multiple trips to the grocery store. This really frees up our time during the week. For more time saving tips see How to Do More, Spend Less and Still Cook Dinner. If you come across a new item that you feel is an absolute NEED, then take a picture, or take note of the make and model and GO HOME. Wait at least 24 hours and check the reviews, compare prices and rework your budget to see if it’s still worth your hard earned money. For me it’s not a big deal that Costco doesn’t allow manufacturers coupons (see Why I Quit Couponing). Instead, I use my Cash-Back MasterCard to pay for all our Costco purchases and put the monthly return back into our grocery budget. If your schedule allows it, try to shop during the slower times to avoid extra stress. When you’re tried, frustrated and maneuvering through an endless sea of grocery carts you’ll be more likely to make decisions that aren’t budget-friendly. To find more products and services I use to stay on budget, check out the Recommendations page. 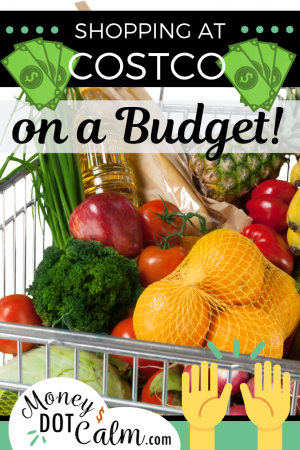 What are your tips for shopping at Costco on a budget? Does Costco save money on groceries?